It only gradually became clear to The Nation and others how the Iran/Contra scandal, which burst into the open on this day in 1986, represented an even more egregious violation of the law than other aspects of the Reagan administration’s Nicaraguan dealings, already the subject of an investigation by Senator John Kerry. This early editorial, “The Core of the Crisis,” said that Iran/Contra was not a scandalous exception to generally benign American foreign policy but the logical continuation of covert actions that had been going on at least since the Kennedy administration, and roundly denounced in this magazine at every turn. In less than six years the Reagan Administration developed its system of covert operations, extended its string of secret wars and refined its schedule of shady deals to a level of sophistication and a point of pre-eminence unknown in the history of U.S. foreign relations. Apologists for Reagan will surely claim…that the pattern of secrecy and manipulation had been firmly established by Presidents long gone. And so it had: the C.I.A.’s wide-ranging subversion of foreign and domestic politics in the 1950s, the disastrous involvement in Indochinese affairs by Kennedy’s “best and brightest” imperial intellectuals and the immortal escapades that came to be known as Watergate make a sleazy and shameful history that Reagan seems to be following as if it were revealed writ. But no President until now has so vastly replaced open policies with covert ones, has so cynically removed the major issues of his Administration from the possibility of public debate, has so brazenly and hypocritically done one thing with a closed hand and the exact opposite with the other. 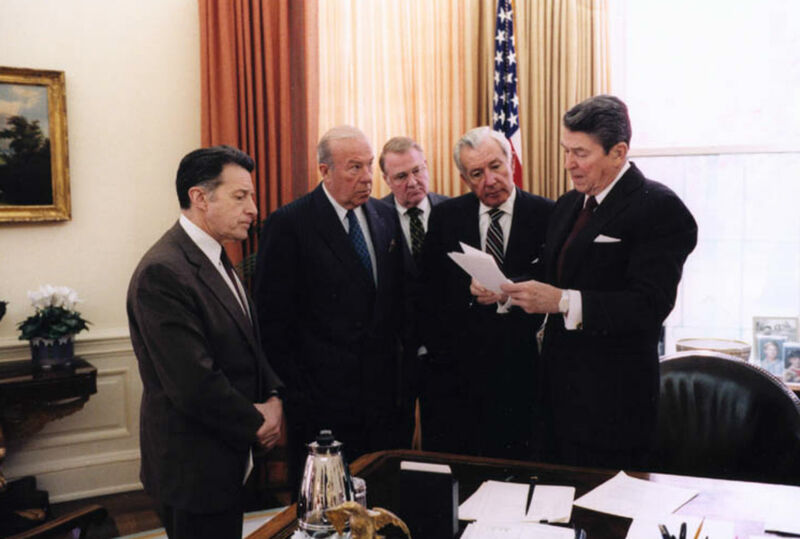 The arms deal—variously called Iranagua, Gippergate and, by Reagan, “our Iran policy”—did not take place on the margins of policy but at its very heart. The ghoulish alliance of reactionary, repressive and aggressive governments that the White House forged to turn its tricks was the centerpiece of its strategy in the Third World, the most active and volatile arena of global politics for the past quarter-century. The same complex of deals that gave money to the contras at a time when Congress expressly forbade such aid was also supporting the whole wretched network of terrorists, mercenaries, rebels and death squads from Angola to Guatemala.